Welcome to our fourth development blog. This is a special one. 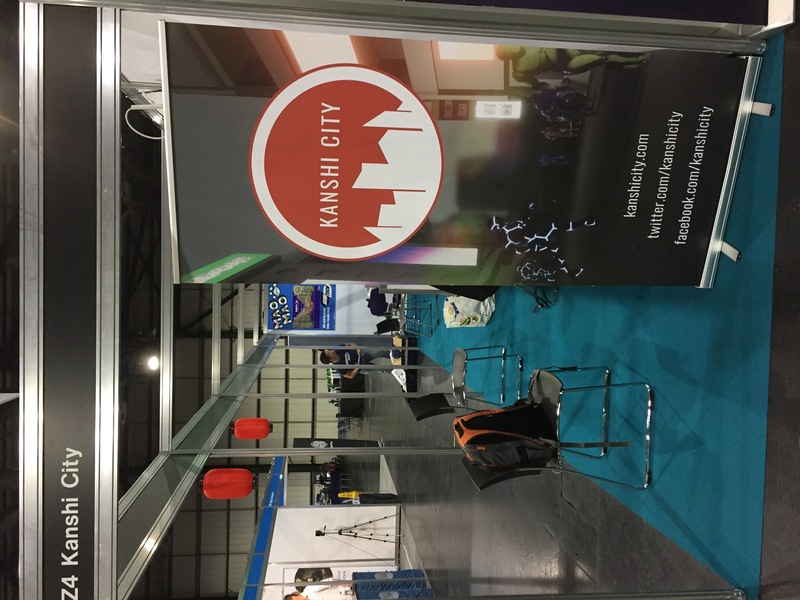 This month we took Kanshi City to Insomnia X Resonate, a games festival at the SECC in Glasgow, Scotland. The event lets the public play all types of games from retro to VR to indie. 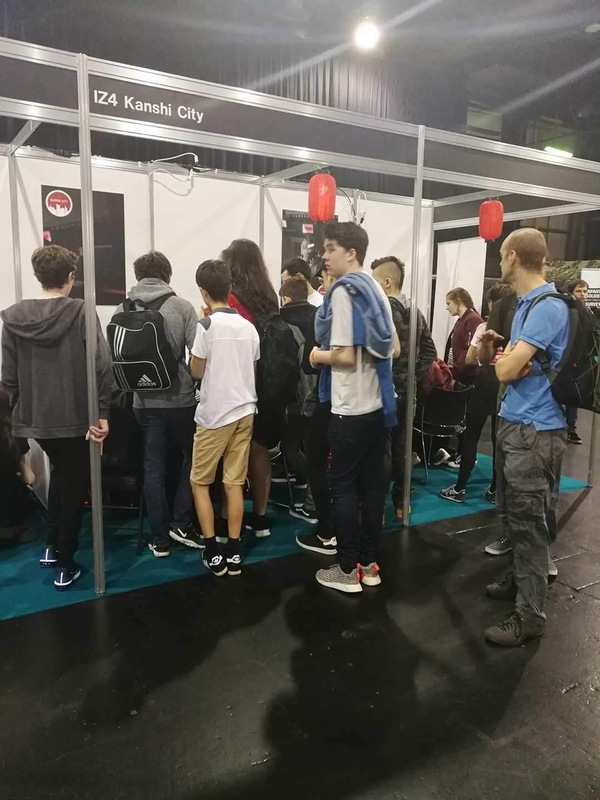 There were also tournaments for games like Fifa or Overwatch as well as various merchandise stalls. We showcased the game at a booth in the Indie Zone sponsored by Henderson Loggie. We were aware of the event for a while but unsure if the game was ready to show to the public. We knew we would have to wait another year to get it so we decided to take the chance. This would be the first time people we didn’t know would play the game so we were both anxious and excited to see what the reaction would be. 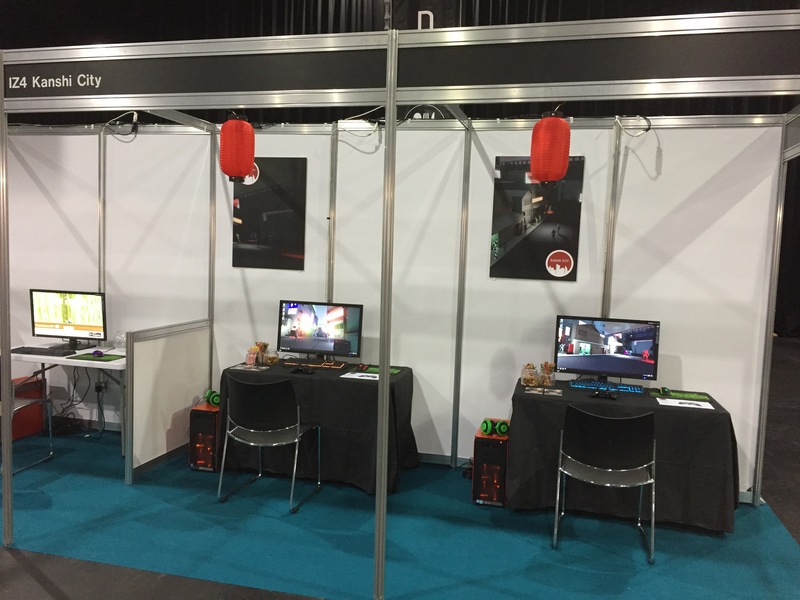 This first image is how our booth looked. 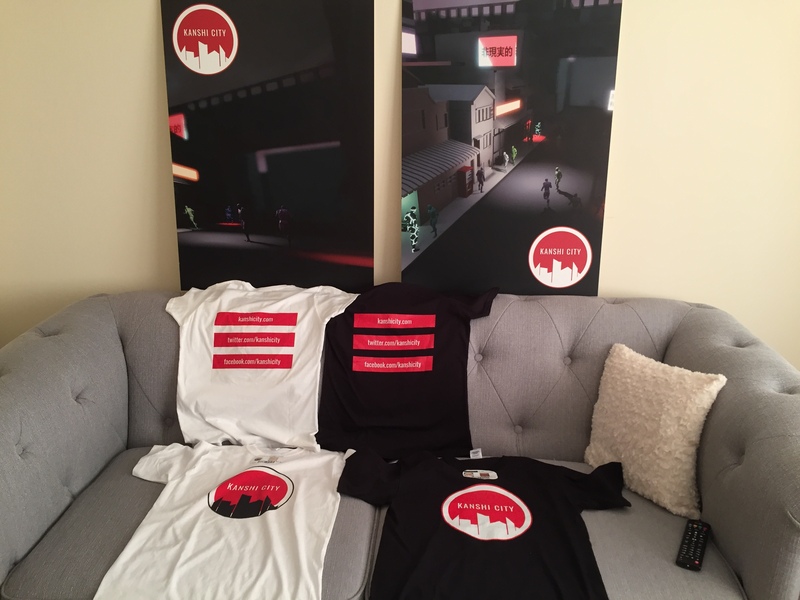 We took some in-game screenshots and got them printed on foam board posters and a vinyl roller banner, as well as flyers for information for the game/social media. We also got some red lanterns which looks similar to the common red lanterns you see around Japan typically outside restaurants. Here is some t-shirts we had printed also. And a close up of the foam board posters. We were so happy with the response we received. From a rough tally count we had 350-400 people try the game over the weekend. Some people played for 1 minute and others 10, the average being 4-5 minutes. We were never particularly conscious of the age group we are designing for but it was most commonly 8-16 year olds playing the game. We had great reactions from many players telling us they really liked the idea and visual aesthetic, asking us where they can buy it and when it will be released. There is no greater motivation booster than hearing people say that about your work! 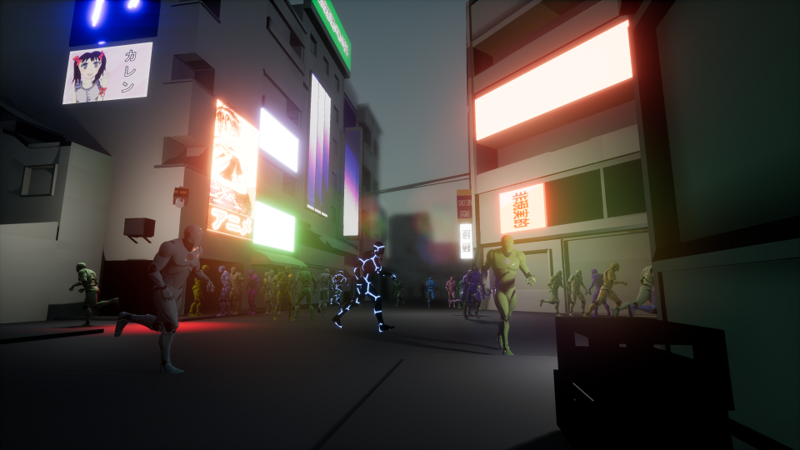 The main feedback received was in the current state the game was too hard, particularly because it is based on randomness. This will be fine tuned as we develop it further. Many people were understanding that the game is still in early development. Some common mistakes made were trying to catch the target from a distance, where you need to be in the targets personal space to catch them. When the target was caught many people didn’t realise they then had a new target to find. Some last minute sound effects were added the night before the event to indicate this but they were drowned out by all the booths around us. As well as constructive feedback we also received many requests such as releasing it as an early alpha game or adding in virtual reality or multiplayer support. We are not fans of the alpha release model so this is unlikely. The game is not suited to VR as it requires a lot of movement so we won’t be trying that. Multiplayer however is definitely possible, everyone trying to find the target together or one player is the target and must avoid the other players hunting them. It would be explored as the core singleplayer game is much nearer completion. Many people also requested a console release. This would be fantastic if we could manage this and it will absolutely be investigated. The game will go ahead as planned to release on PC via Steam and any other similar stores we can get on. Speaking to some other indie devs at the event was really great too. 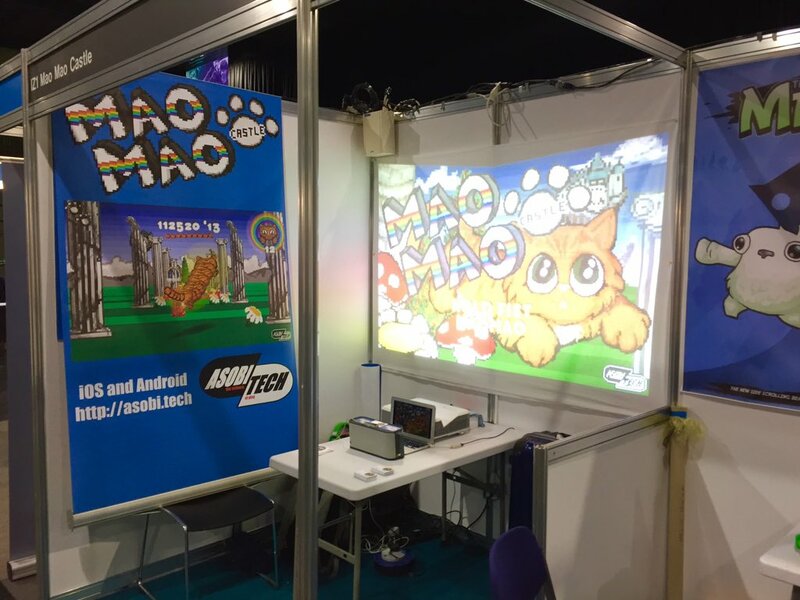 We loved Asobi Tech’s Mao Mao Castle, a motion controlled retro inspired game where you control a cat flying through castles and daisy fields. We got a lot of advice and feedback from Asobi Tech in terms of game design and presenting our game at conventions like Resonate. Some journalists and writers spoke to us about the game so we hope to be posted articles we are featured in for the event soon. 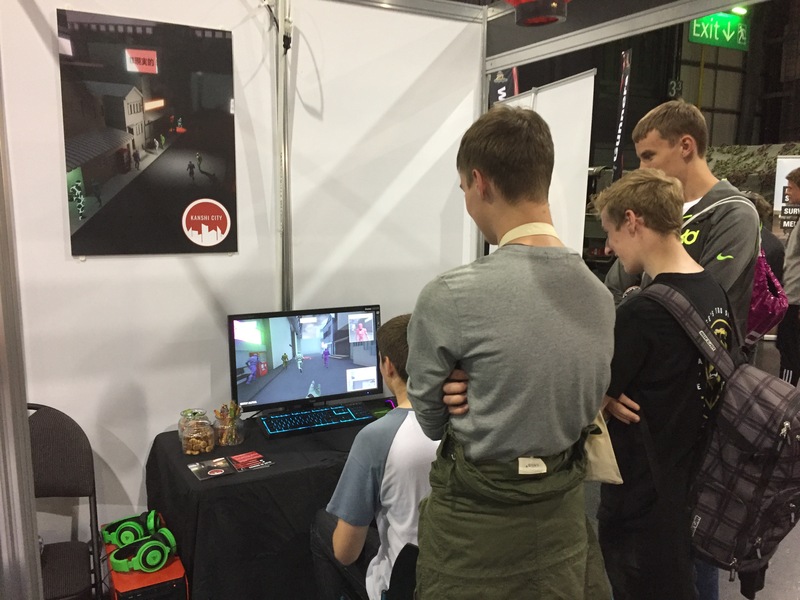 We also got some people who showed a keen interest in the game to sign up to our mailing list. We created a list just for the event so anyone who played the game at Resonate will receive a special offer code once we release the game! Thank you so much to everyone to played our game and for your valuable feedback. We are back to work on the game now and will continue working to hopefully release next year. A lot of you wanted us to release on Xbox and Playstation so we will definitely look into this. Keep following for more updates! 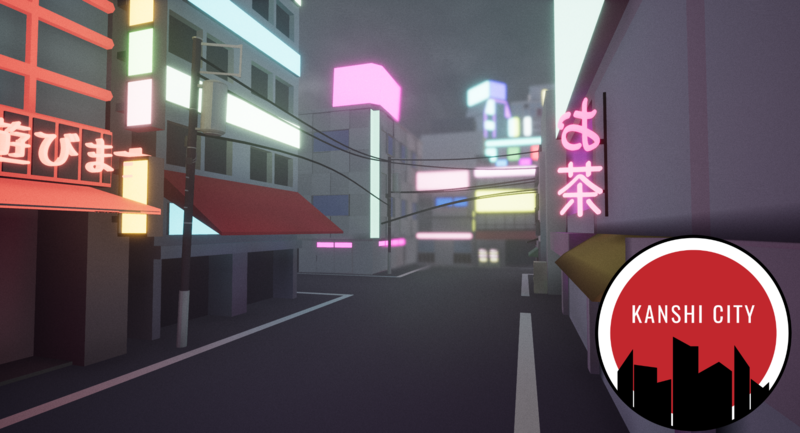 Take back control of a Tokyo-inspired city from corrupted robots.